Efficient Ways to Add Living Space - Armchair Builder :: Blog :: Build, renovate, & repair your own home. Save money as an owner builder.- Armchair Builder :: Blog :: Build, renovate, & repair your own home. Save money as an owner builder. There a several good options available to those wanting to add space to their existing home. But which is the most cost efficient? Here we take a look at some of the more popular ways to add living space and discuss the relative costs of each. The most cost effective way to add space to a home is to finish the basement. 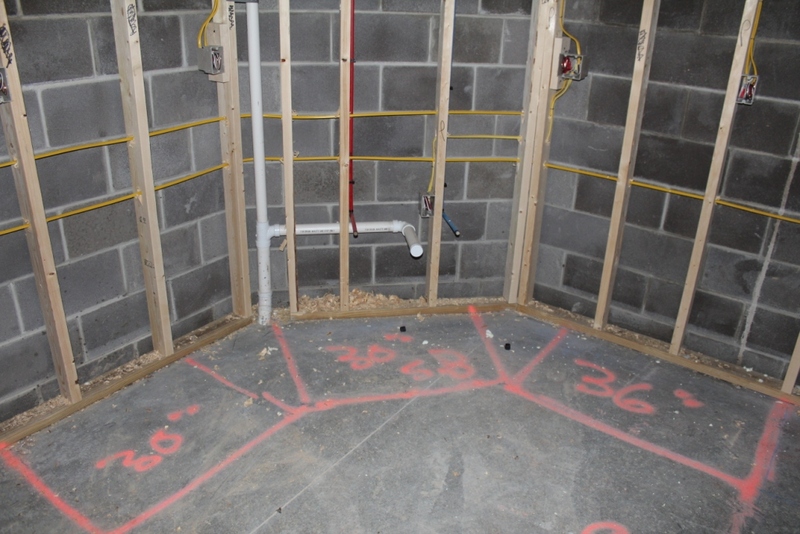 Finished basements can cost anywhere from $10 to $30 per square foot depending on the finishes, rough mechanical adjustments required, and whether or not you take on the role of the owner-builder/general contractor. If you are adding living space without a bath or kitchen, and your current heating and cooling system is of adequate size to condition the new space without upgrading equipment, you can finish off the area for as low as $10 per square foot. At this price, you are acting as the owner-builder. Of course, you can save even more by taking on some of the physical work yourself. The second most cost effective way to add space to your existing home is to finish off the garage. You will first need to contact your local building department to make sure this is allowed and if so, ask for their requirements. Also check with the community Home Owner’s Association to make sure they are on board with the project. If you call the space a bedroom, you will most likely have more stringent building code requirements than if it is an office. The cost to finish off a garage can be similar to a basement but it depends on mechanical and insulation requirements for the space. If you’re in a cold climate, you will most likely need to add heating capacity and you will need to insulate the floor, walls, and ceiling…these will add costs. Don’t forget to consider the affect losing a garage would have on your home’s resale value. If every home in the area has a garage, you may be decreasing the overall value of your home. In this case, you may want to finish the space with the intention of turning it back to a garage when you eventually sell the home in the future. The next option to add living area would be to finish off attic space above your home. I always tell my customers when planning a new home to consider adding open roof trusses. It is much cheaper to build roof trusses that have open space for future finish on a new home than it is to retrofit an existing home with standard trusses for an attic finish. 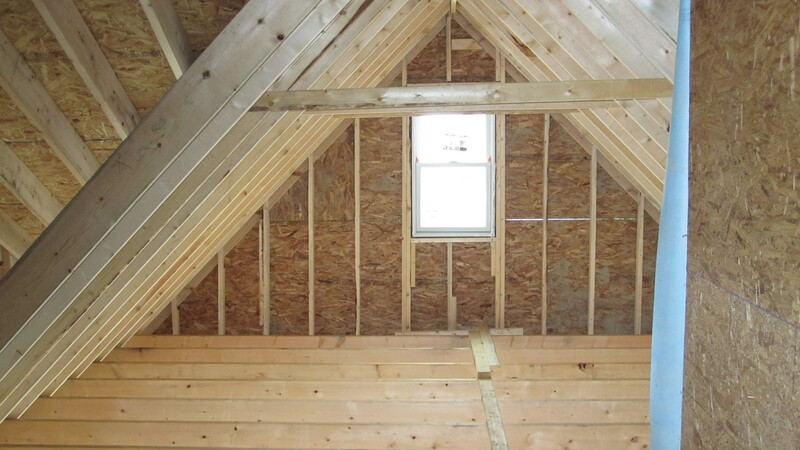 Engineered drawings, building department review, and materials and labor to retrofit standard roof trusses to allow space to finish an attic can get expensive and time consuming. My experience with finishing attics is minimal…just because I think the cost/benefit analysis makes the project less attractive (so I’m not going to try and share costs with you). However, if you must have extra space, your lot is small and you don’t have the option to move, this may be the best way to add space for you family. The final option for you to add space is to put an addition onto your home. This is typically the most expensive method to add square footage to an existing home. If you plan to build out, you will need a foundation, roof, exterior cladding…etc. All of these items are not required if you are finishing a basement, garage or attic space. The costs for additions will typically be at or above those for building a home from the ground up. So, depending on your finishes, the costs could start at around $50 per square foot. You could save the money on the foundation by building up if you have a ranch, but the extra rework required with the existing building can negate those savings.